The Telford 10k saw 16 break 30 minutes and 12 women beat 35 minutes, with strong runs too at the Stockport 10M, the Welsh Inter-Regional Cross Country Championships and the Cockington Caper amongst other races across the UK. Serpentine AC ace Callan Moody slipped under the radar when the Telford 10k previews were written, but this year’s men’s winner can no longer expect to avoid the pre-race hype. Predicting results is a thankless task, but this is usually a good thing when it comes to races of Telford’s undisputed class. Highlighting the most likely athletes to excel in an event that consistently sees the highest number of sub-30 minute times in the UK is fun, but getting it wrong is all too easy when the field is so deep with talent. Moody enjoyed a fierce battle for the top prize, though, when he just held off Cambridge & Coleridge’s Jack Gray and Lincoln Wellington’s Lucian Allison to win in a big PB of 29:31 on Sunday (December 8). Gray was a second behind Moody and was rewarded with a lifetime best of more than half a minute with a 29:32 clocking. Incredibly, Allison’s time just one second back was exactly the same as his third placed result at the recent Leeds 10k, 29:33. Highlighting how competitive this year’s race was, the top ten men were separated by 11 seconds, and an astonishing 16 athletes broke the 30 minute mark. In fact, every one of the fastest 10 men recorded PBs bar one, the venerable veteran from Leeds City, Graham Rush. There was even more excitement in the women’s race, where late entry Emily Hosker Thornhill took the win for Aldershot, Farnham & District from Birchfield’s new signing, Hayley Carruthers. 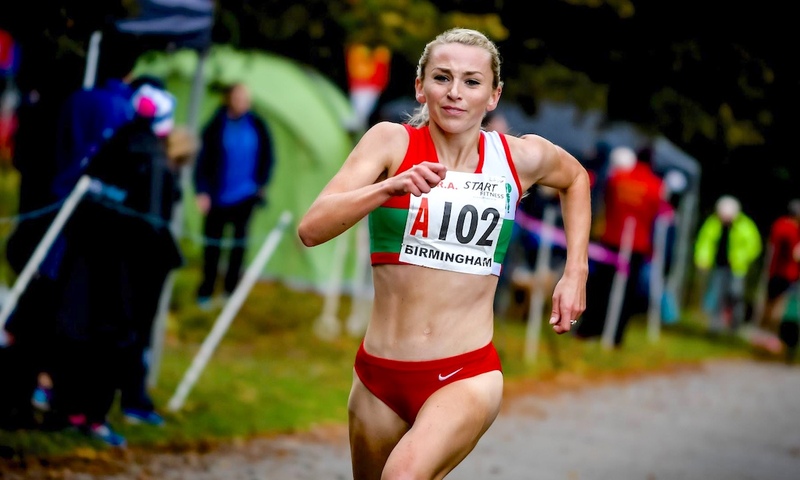 Hosker Thornhill just missed out on making the GB team for the European Cross Country Championships when she came a fine seventh at the recent Liverpool trials, but more than made up for it with a dominant display of front running in the Shropshire town. 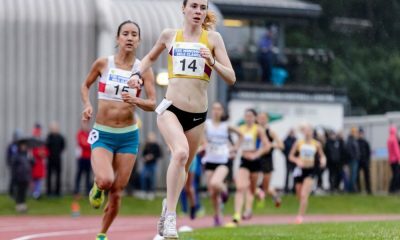 The AFD star made her debut count over the distance in Telford, clocking up a 32:54 result to win comfortably from the relative newbie to the sport. Carruthers will be over the moon with her impressive 45 second PB, having run a negative split in a race she says she ran ‘like a marathon’! The England international’s 33:20 puts her just outside the top 10 in the UK this year, a huge improvement from her 43:47 best from two years ago. Worcester’s Jenny Nesbitt took the third podium spot in a strong 33:25, just one second outside her PB from this year’s Bourton 10k. A total of 57 women broke the 40 minute mark at Telford, with the top 12 all under 35 minutes on a superb day for British road racing. 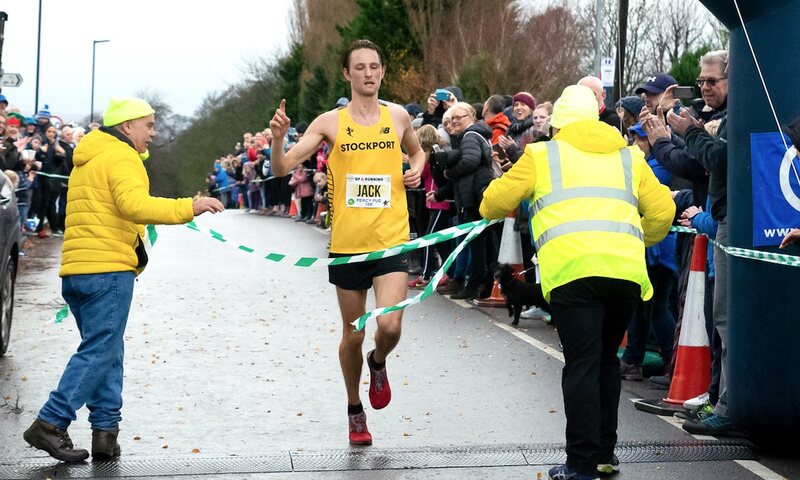 Interestingly, in form 10k man Jack Martin from Stockport Harriers chose to swerve Telford in favour of racing his own club’s 10 mile event on Sunday (December 9), taking the win at the Stockport 10M in a useful 50:01. That time represented a 47 second PB for the winner of last week’s Percy Pud 10k in a race where he was never challenged for the title. Martin’s namesake and club mate Jack Nixon was second across the line in 52:48, while Sale Harriers’ Nicholas Barry took third in 53:15. Evergreen Julie Briscoe from Wakefield Harriers took the women’s win in a speedy 59:06 in what was her first venture over the distance in eight years. 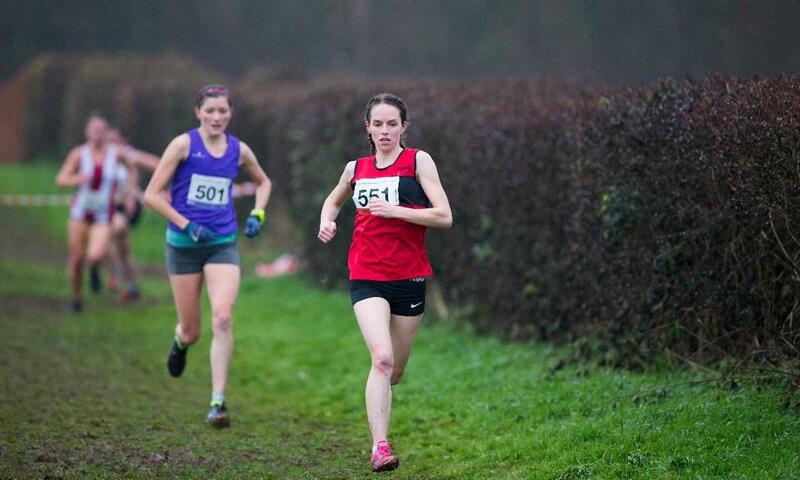 The V40 ace finished more than three minutes ahead of Veleska Wills from Derby AC, who recorded a 62:17 result. It was a far closer battle between second and third, as Hyde Village Striders’ V40 Vicky Wright pushed Wills all the way to the line, eventually finishing just five seconds behind in 62:22. South Devon’s Cockington Christmas Caper always promises a tough challenge on the muddy hills of the South West, and this year’s race on Saturday (December 8) did not disappoint. In past years the organisers have awarded prizes for the muddiest finisher, prompting some to hurl themselves into the boggiest quagmire they can find before they reach the finish! The 2018 edition saw wins for Tavistock AC’s off road supremo Adam Holland, who just held off North Derbyshire’s Martin Dawson, the winning time 52:19 to Dawson’s 52:30 on the brutal 7.5 mile course. Torbay Tri Club’s Lee Turner took the third prize in 54:51. The first woman across the line was Turner’s club mate, Naomi Flanagan, who won convincingly from Carla Haines, Flanagan running 62:31 to Haines’ 64:04. Hannah Karas was third lady in 66:59. The Welsh Inter-Regional Cross Country Championships also witnessed some impressive displays by athletes racing on a heavily muddy course, with James Hunt and Alaw Beynon-Thomas dominant winners on Saturday (December 8). The 20th edition of the event took place at a new venue at Llandrindod Wells in Mid Wales. Heavy rain had blighted the area for several days, leading to difficult conditions on an undulating course. Hunt began the race as the current Welsh Cross Country champion after taking that honour in February. 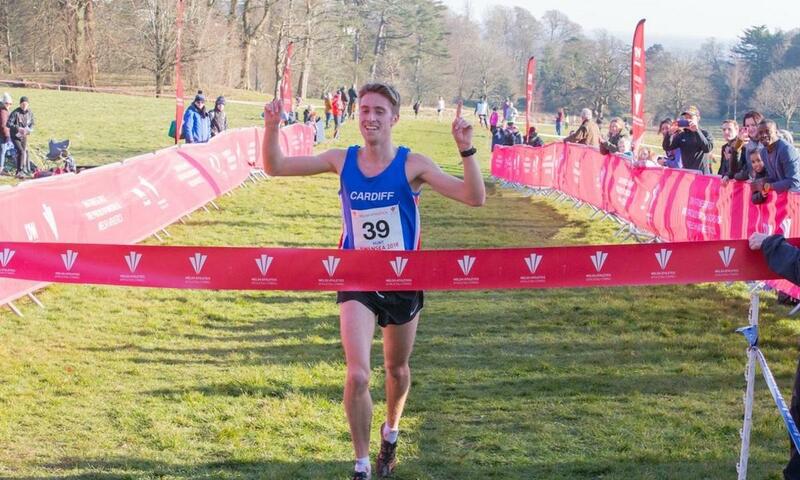 His victory over 9,940m in 33:54 came nearly a minute ahead of his closest threat, meaning the Cardiff AAC man running for South Wales easily led his team to overall gold medals. Abed Teweldebrhan was the next man to finish, running for East Wales with Mark Hopkinson in third, also running for the East. Double Paralympian Stephen Morris was fourth, a long way over his favoured 1,500m distance. In the senior women’s race, Alaw Beynon-Thomas was defending her title won two years ago in Brecon following cancellation in 2017 due to heavy snowfall. 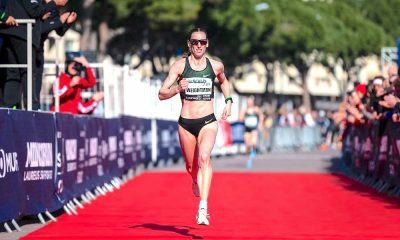 Beynon-Thomas had started to show a good vein of recent form with a fifth place finish at the Cardiff 10k in September and had represented Wales at the Commonwealth Half Marathon Championships in October. Much like Hunt, the West Walian had also warmed up for the championships with a runaway win over a similarly testing course at the Gwent League a week before. ‘It was a good day for me, retaining my title’ said Beynon-Thomas, ‘I might need to start saying that I enjoy the mud’. Helen Marshall ran through the field to take second place outright and a master 35 title running for West Wales. Lucy Marland of the South was the third athlete home making a welcome return to racing following a long lay-off due to injury. Despite not finishing an athlete on the podium, it was the East Wales team that claimed the senior women’s prize, led home by Hannah Jarvis in seventh. Other winners on the day in the age group categories were Dominic Smith, who won perhaps the closest fought battle of the day in the U20 men’s race from Elliot Lawrence, while South Wales’ Naomi Reid’s U20 women’s victory led her team to the top rung of the podium. U17 titles went to Mike Spill of North Wales and to 2017 Cross Challenge Series runner-up Mia Roberts, also running for the North. Adam Beer won a competitive U15 boys contest with Samia Jones an emphatic winner in the girls equivalent age group. Jack Organ and Madisson Griffiths were the winners at U13 level. South Wales were able to retain their overall championship title ahead of the West Wales, East Wales and North Wales teams that finished in that order. Returning to the roads, Rugby & Northampton’s Adam Wright and Daventry AC’s V40 Daniti Pebody took the top spoils at the Draycote Water 10k in Warwickshire on Sunday morning (December 9). Pebody took the women’s title in 39:11, her fastest in two years, ahead of Ranelagh Harriers’ Estelle Damant. 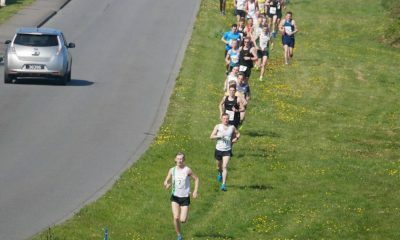 Damant boasts a classy racing CV, with17:27 and 35:51 5k and 10k PBs. Now a V35, she is still excelling albeit at a slightly slower pace, and narrowly missed out on the win here when she clocked 39:30. Mercia Fell Runners’ Mel Price, another veteran, was third lady in 40:26. It was all relative youngsters at the sharp end of the men’s race, with Wright’s time in victory 34:27 from Kenilworth Striders’ Andrew Siggers’ 35:11 and UKnetrunner’s Matt Sanders’ 36:44. The Andy Reading 10k at Chesterton saw wins for Headington RR’s James Eve and Vale of Aylesbury’s Sophie Delderfield on Sunday (December 9). Eve’s time in victory was 33:17, comfortably ahead of Basildon AC’s Stephen Strange and Hercules Wimbledon’s Kieran White, who recorded times of 33:42 and 34:23 respectively. Delderfield was also a clear winner of the women’s race in 37:53, the V35 holding off fellow veteran Diane Foster from Headington RR, who clocked 38:11 for second. Huncote Harriers’ prolific racer Nicki Nealon swiped the final podium spot in third in 39:39. Guernsey AC’s Ryan Burling took the win at the Milton Keynes Winter Half Marathon on Sunday (December 9) in 68:19. No further results were available at the time of writing. There was big news in the world of ultra running across the pond this weekend when American running legend Camille Herron set a new all-surface 24 hour world record earlier today (December 9). She covered more than 162.8 miles at the Desert Solstice Track Invitational in Phoenix, Arizona, beating the previous mark of 161.55 miles from last year. Read the full report here. The European Cross Country Championships in Tillburg saw the senior men and women take team silver on Sunday (December 9). See here for all the race details, and here for an in-depth report from the U20 and U23 races, which saw the U20 GB women win gold on a mud soaked course in Holland. 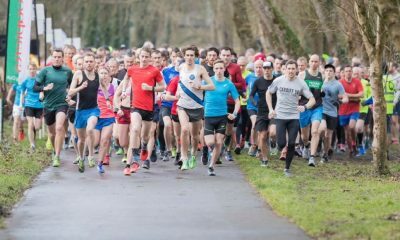 Jonny Hay and Georgia Hayes topped the UK parkrun top 10 rankings this week. To find out who else made the cut click here for a full report.